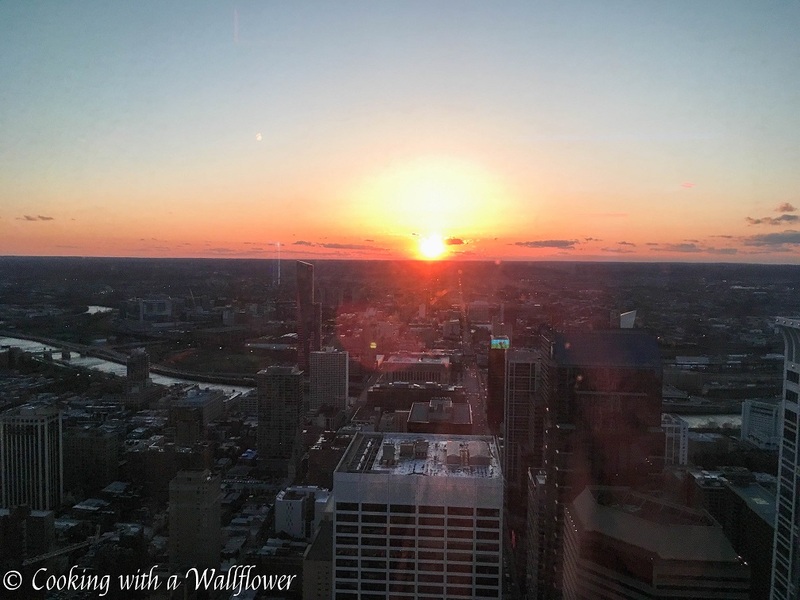 Part of what I loved about traveling alone was that I could get up at whatever time I want and begin my day. 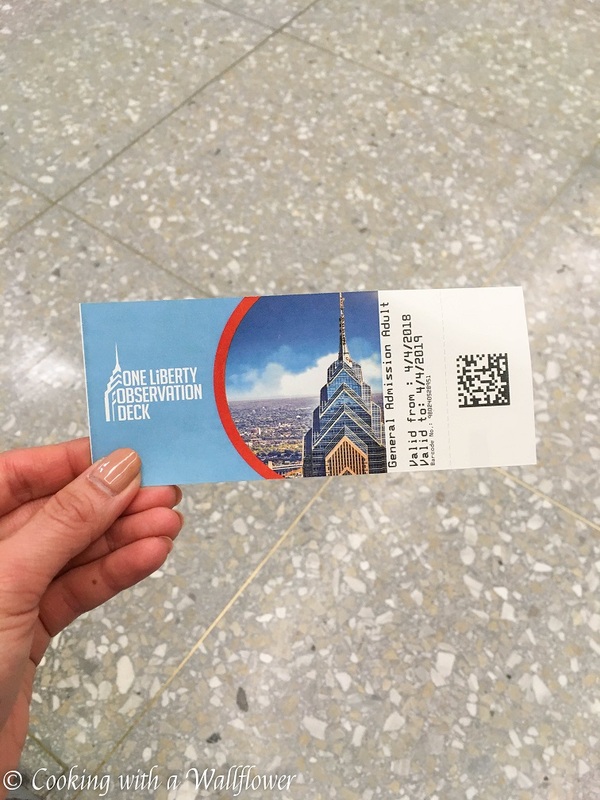 Which means I can start exploring the city before it gets too crowded. So on my second day, I had so many places I wanted to see and so many foods to try. 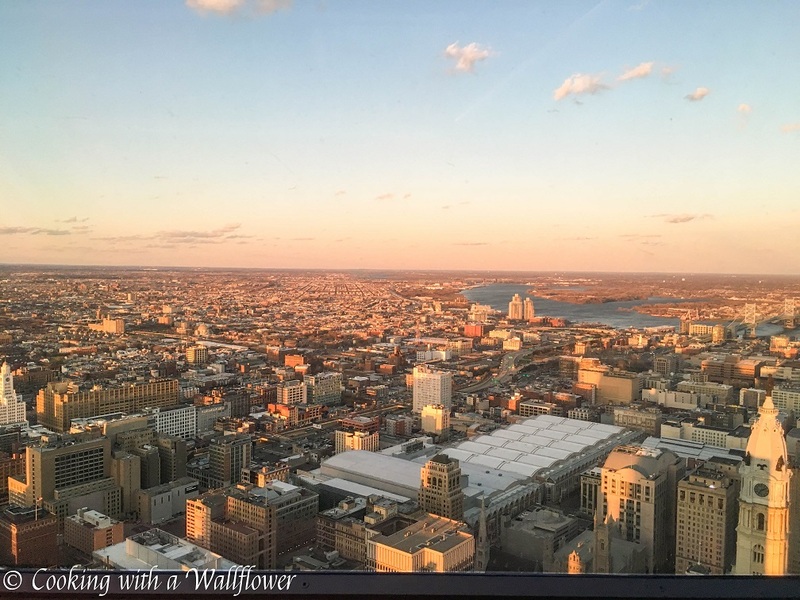 I covered both Center City and the Museum District, but I’m going to focus on Center City for this post. 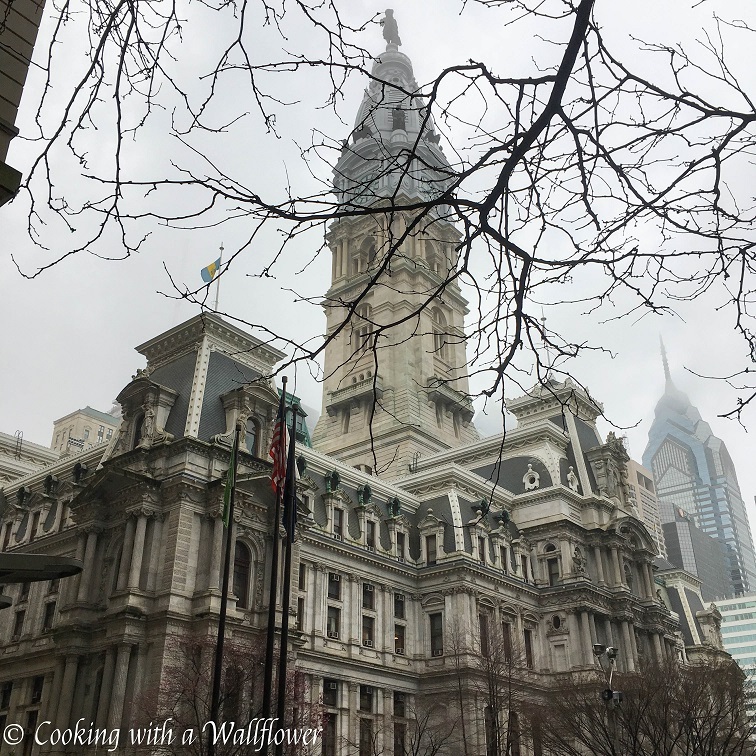 In case you missed the first part of this series, you can find my adventures in Philadelphia’s Old City here. 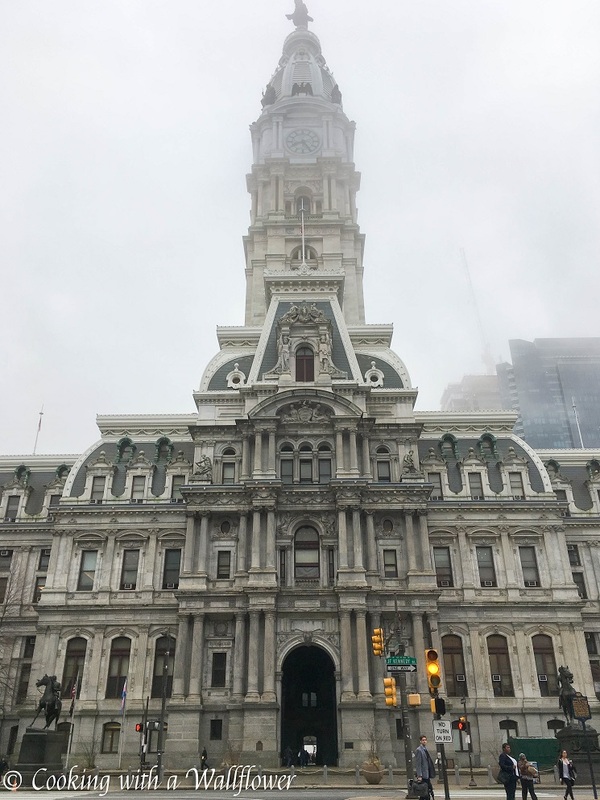 My first stop was to walk over to City Hall from my AirBnb. The architecture of City Hall was absolutely breathtaking. 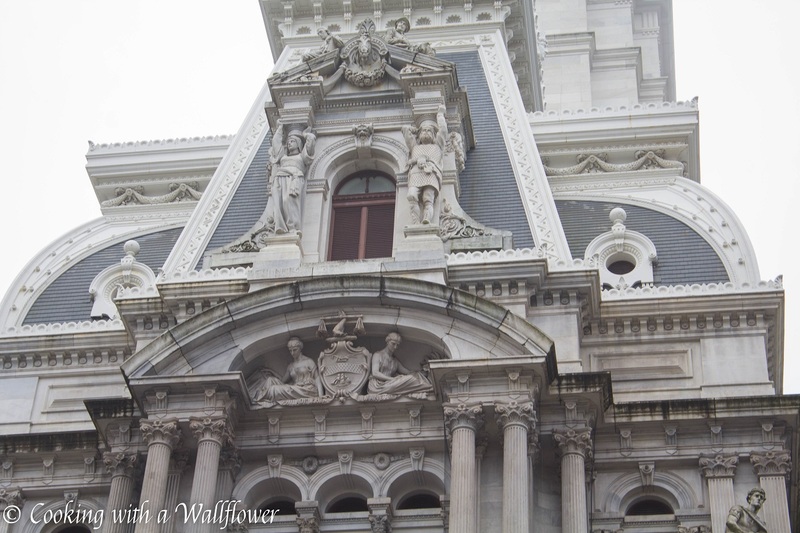 You can see the details in the design and the sculptures. 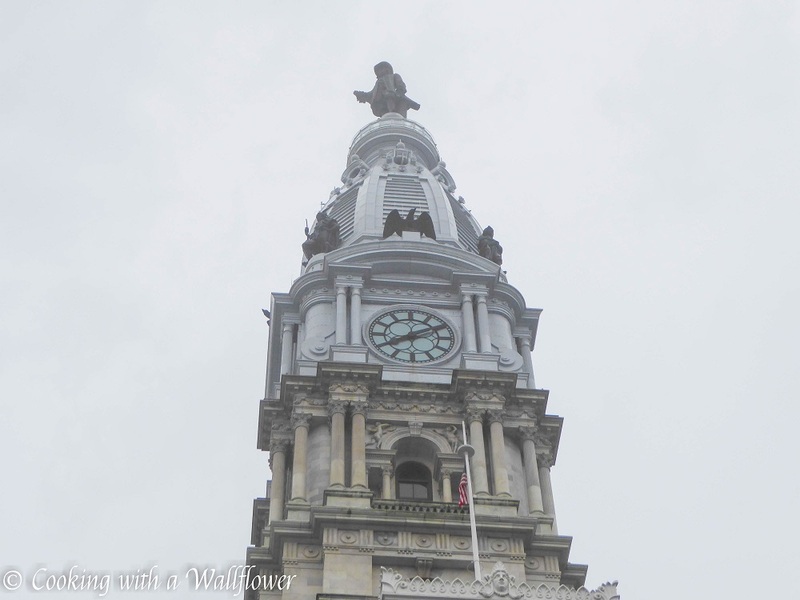 At the top of city hall stands a statue of William Penn, the founder of Philadelphia. 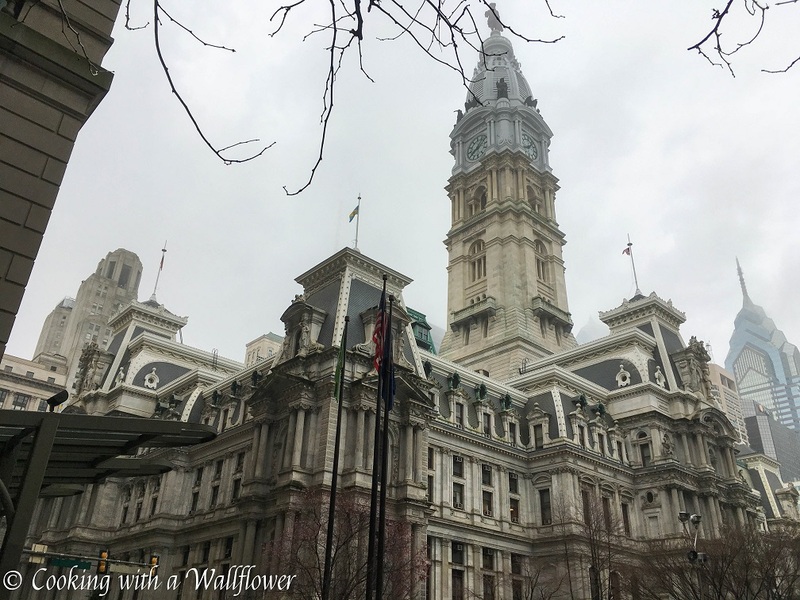 I could not help but stand there for a couple minutes starting at the beauty of the building. 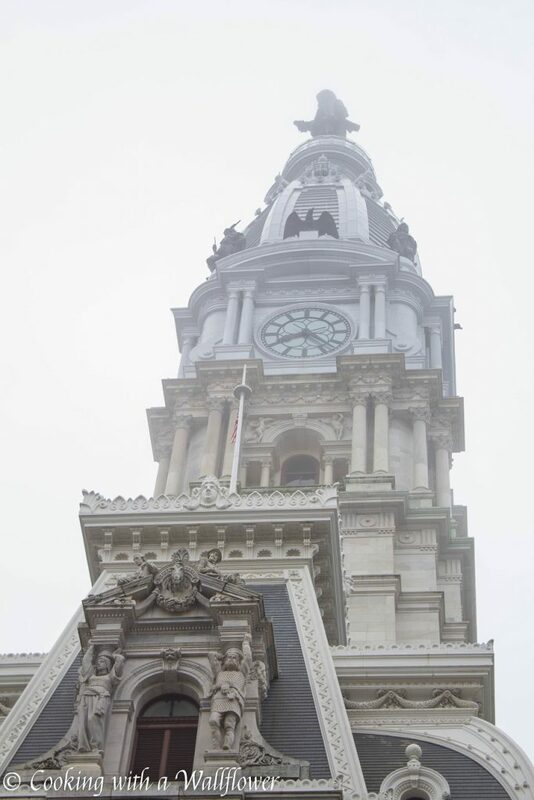 I stood on the median in the middle of the street early in the morning so that I could get a good view of City Hall. 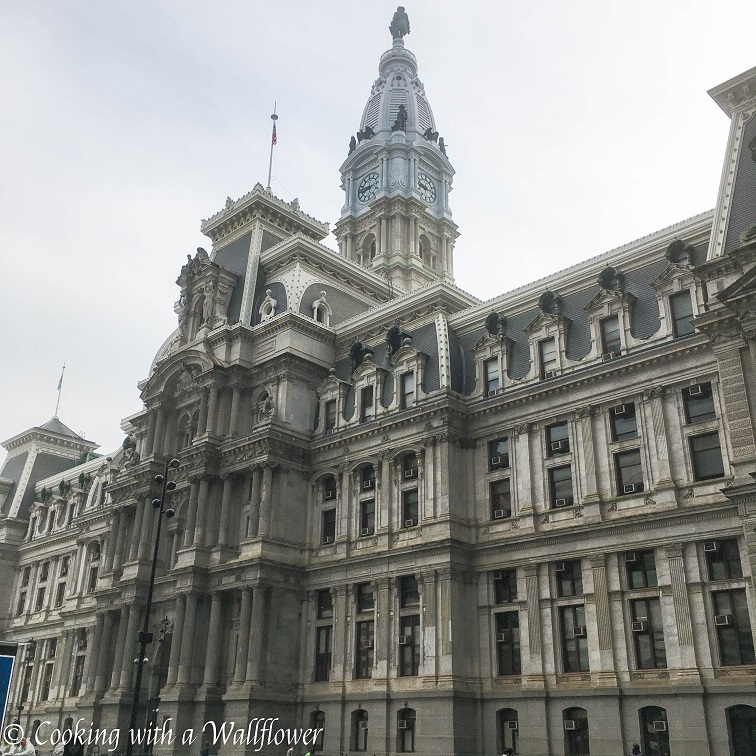 I wish I had time to go inside City Hall for a tour, but when I went, it wasn’t open yet. And I didn’t have time to go back for a tour. 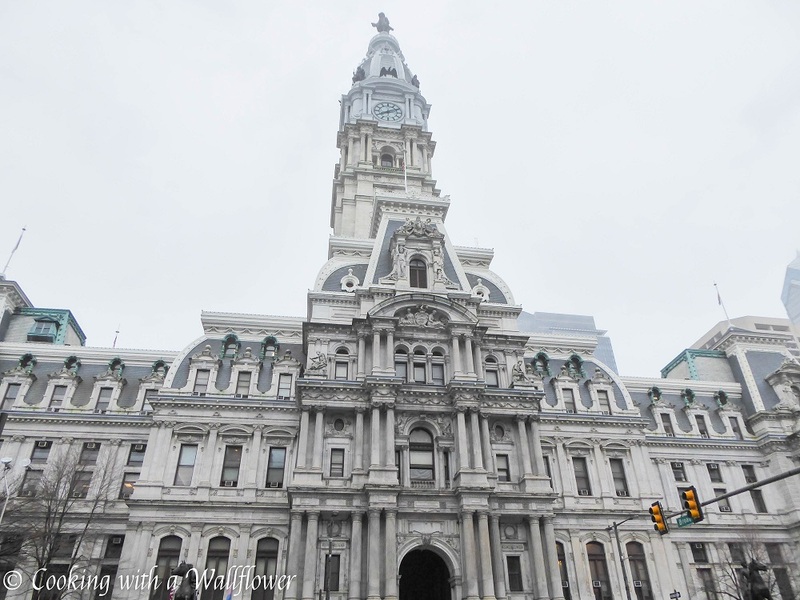 What I love is that you can get a good view of City Hall from almost all angles. So many streets lead directly to City Hall. 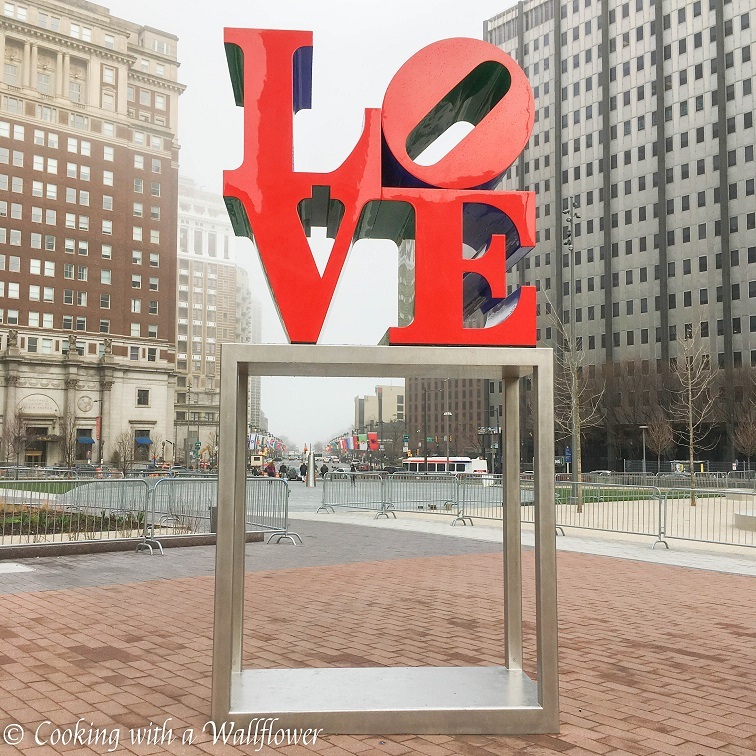 Across the street from City Hall sits the famous LOVE sculpture. 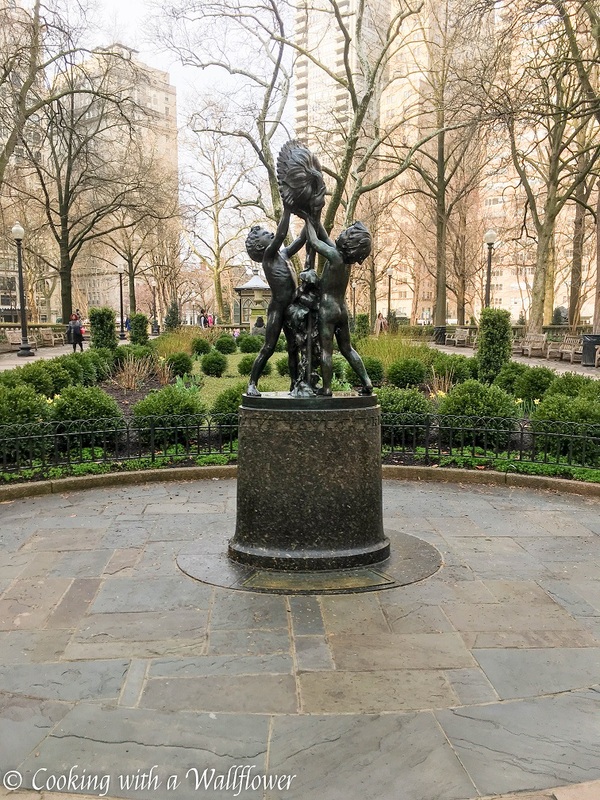 The park wasn’t ready yet while I was there, but I had to snap a photo of the sculpture. 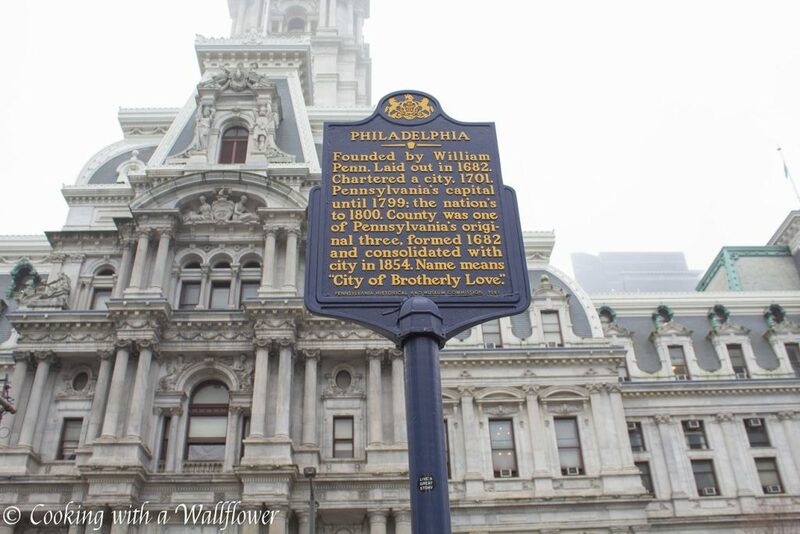 It’s also the entrance to the Benjamin Franklin Parkway which leads all the way to the Philadelphia Museum of Art. 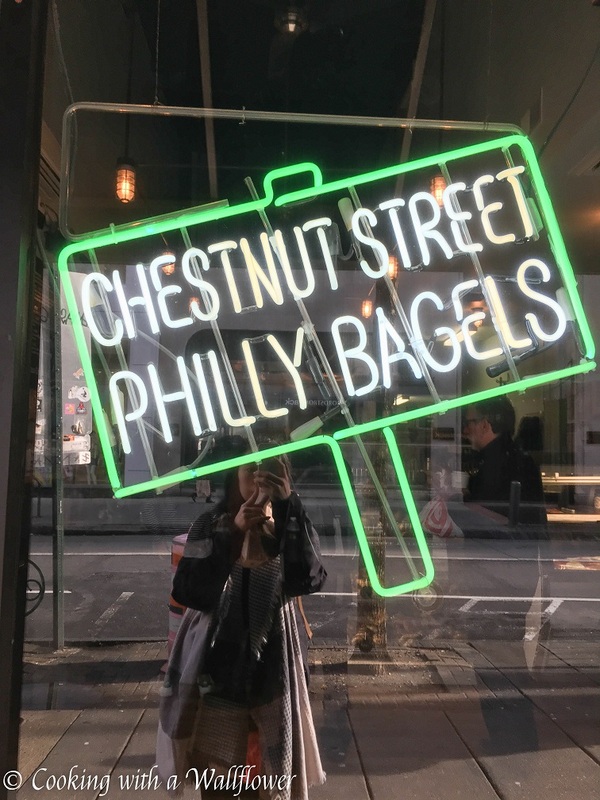 I couldn’t resist stopping at the Chestnut Street Philly Bagels shop to get myself a rainbow bagel with birthday cake cream cheese. 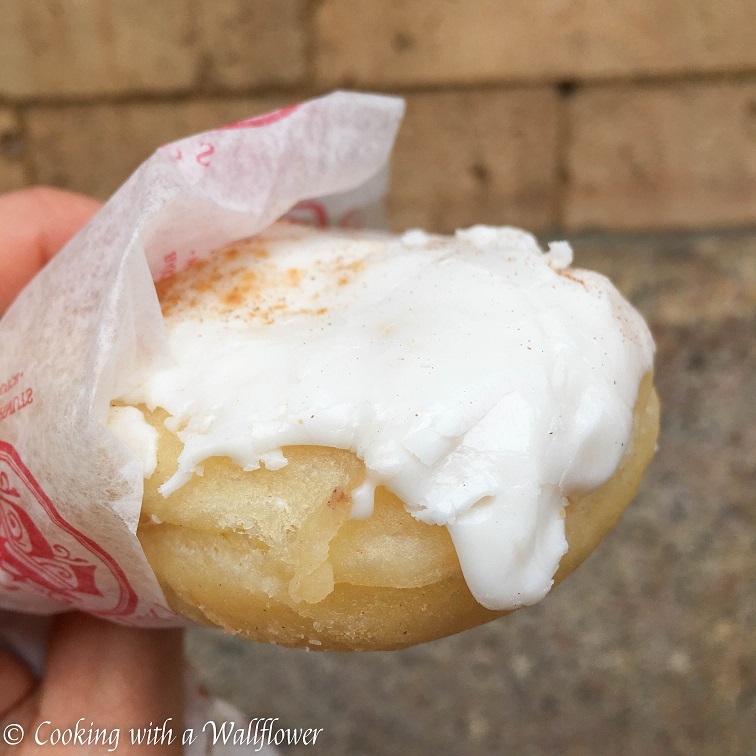 I thought it was really good, but that’s only if you love sweetened cream cheese. 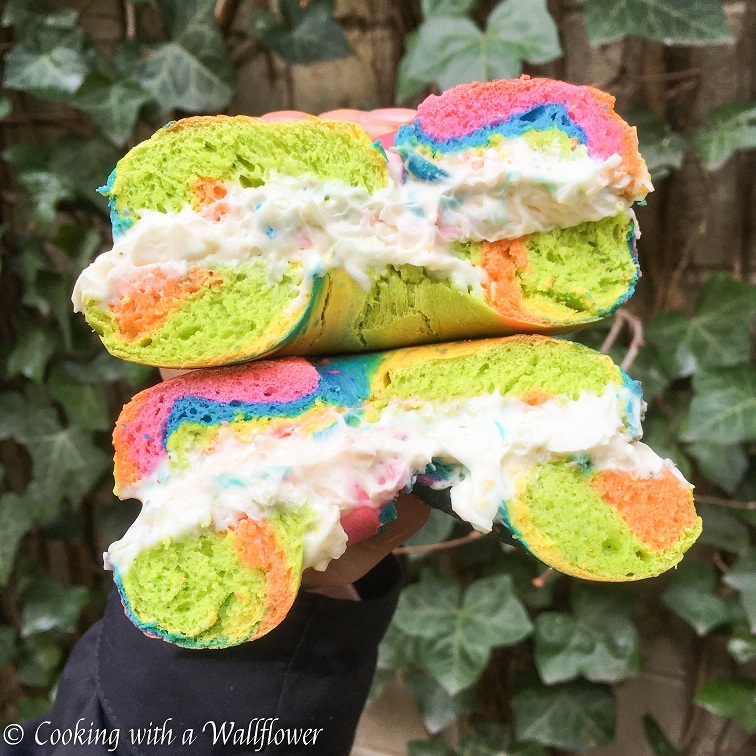 The bagel is huge and so filling. 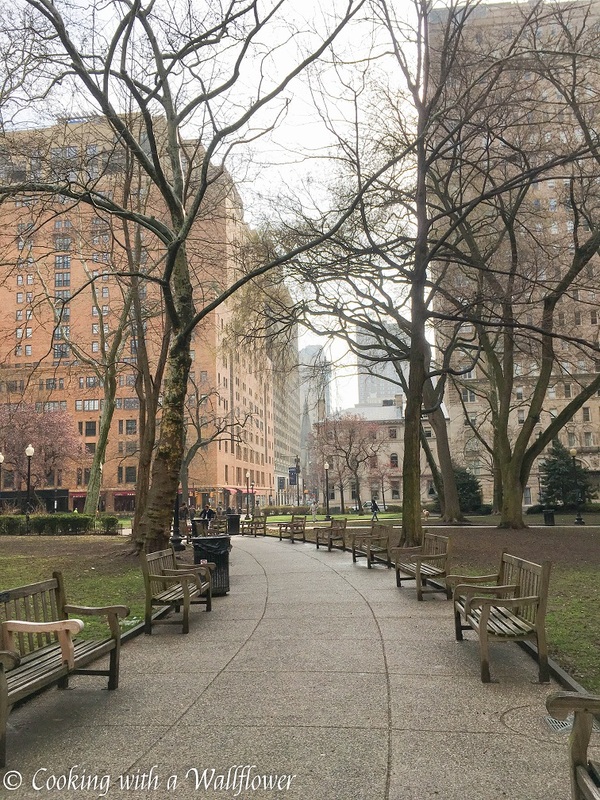 So many people talked about Rittenhouse Square, and Rittenhouse Square Park so I knew I had to make a stop there. 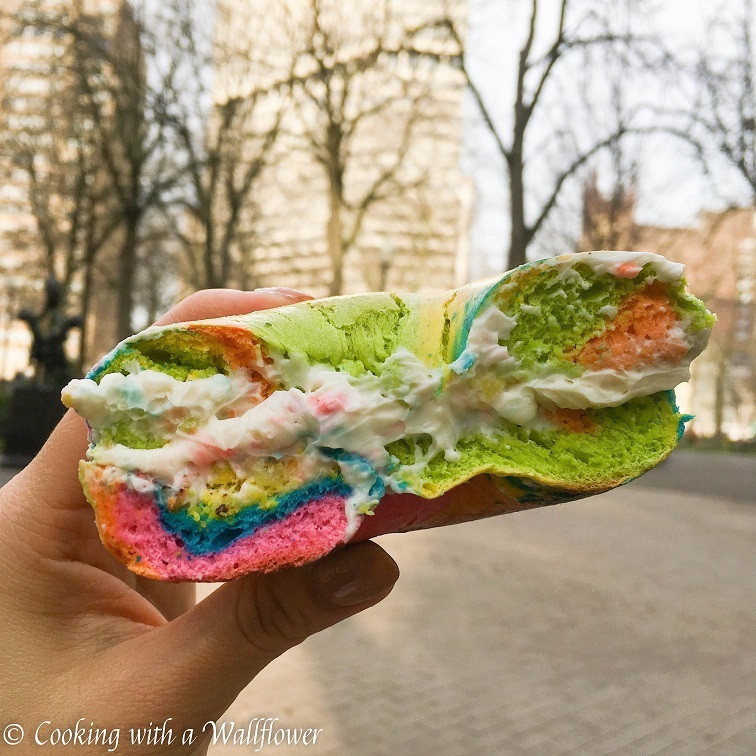 I brought my rainbow bagel with me and sat down on a bench to eat while people watching. 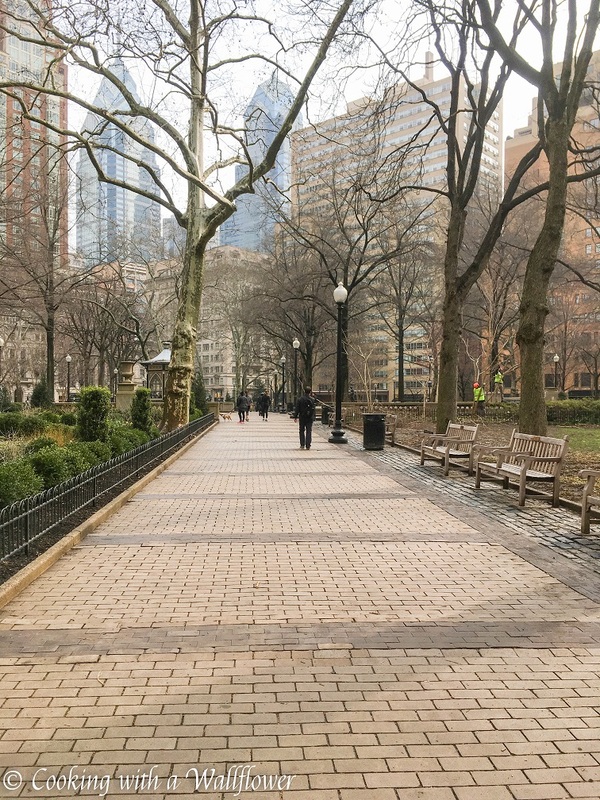 I just love all the tree lined pathways. 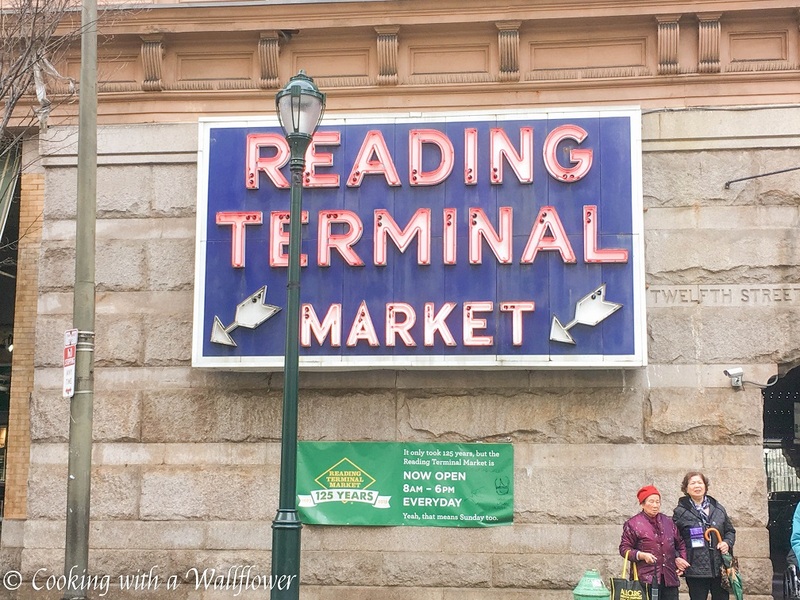 Reading Terminal Market at one point was underneath an active railroad station. 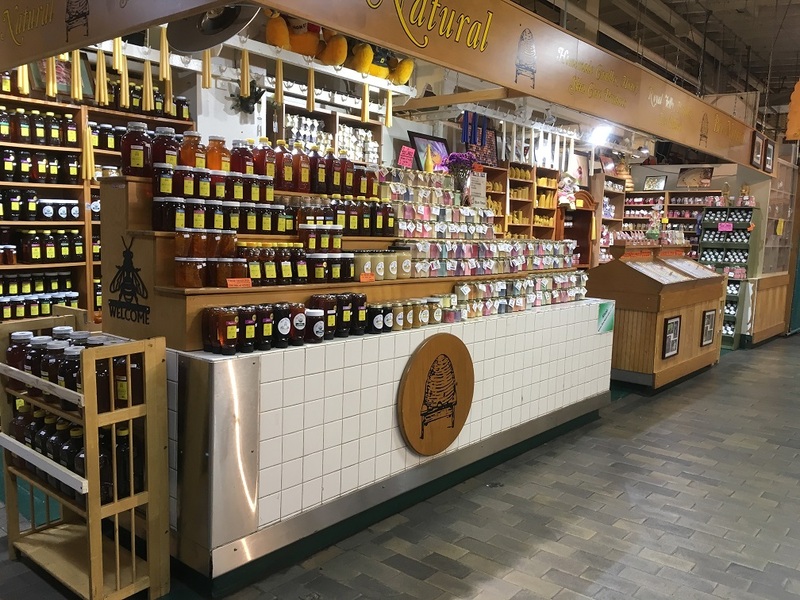 Now it is home to about 80 different vendors — some selling goods while others sell food. 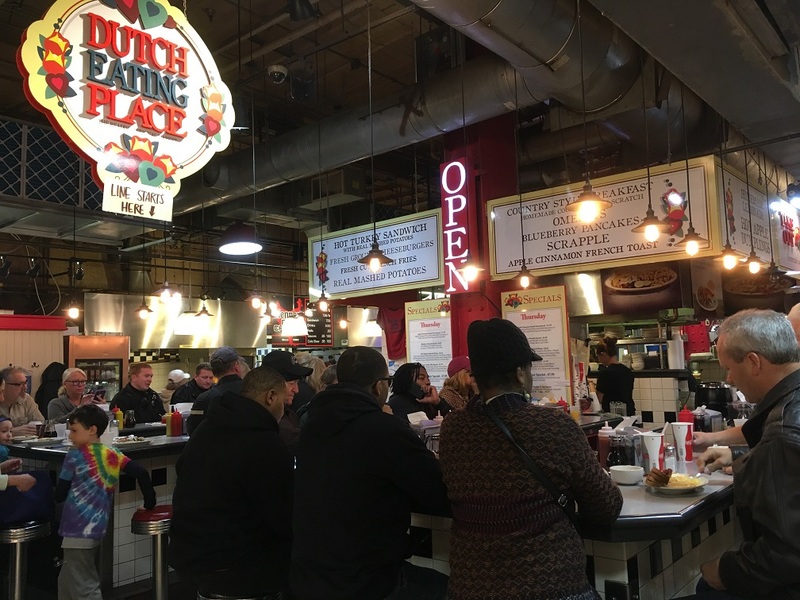 I spent so much time browsing each stall of Reading Terminal Market and it was so much fun. I wish I had more time to try all the food! 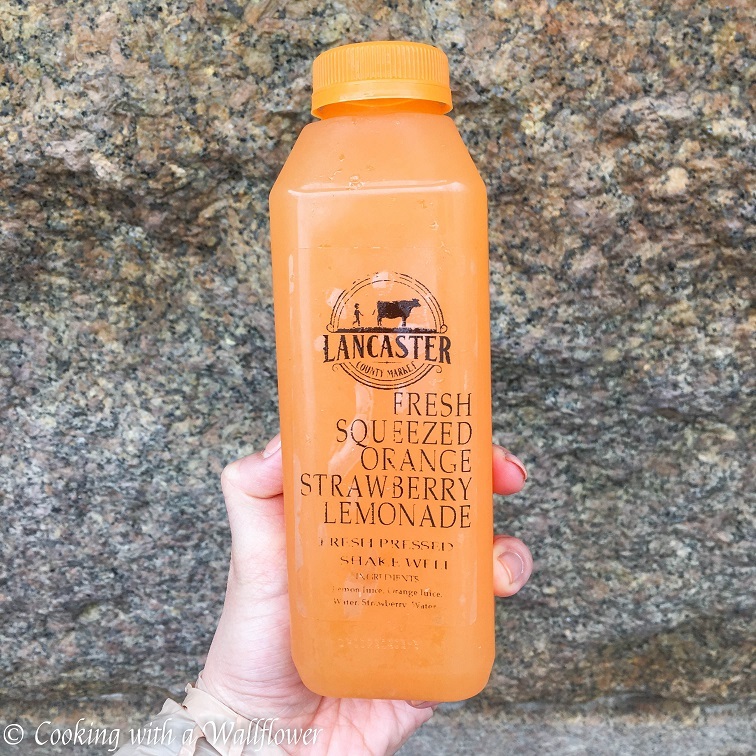 I am so obsessed with the fresh pressed juices from Lancaster County Dairy. 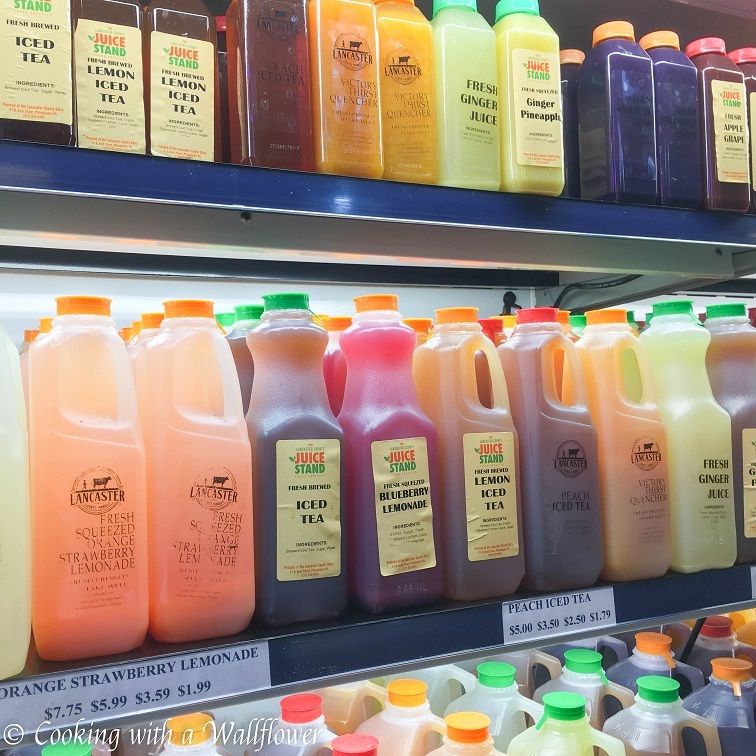 I returned a few times to buy different juices and lemonades, but my ultimate favorite was the strawberry orange lemonade. So delicious and refreshing. 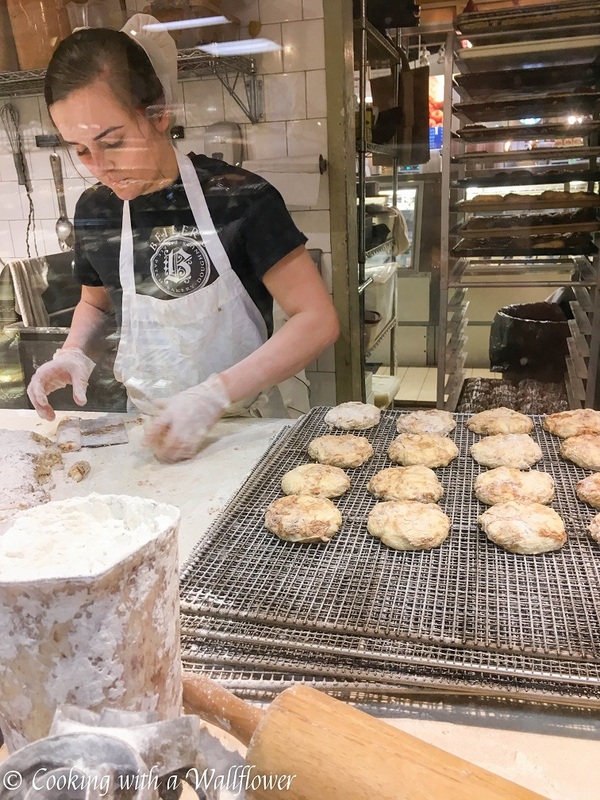 If you’re at Reading Terminal Market, don’t miss out on these doughnuts! I have a confession to make. 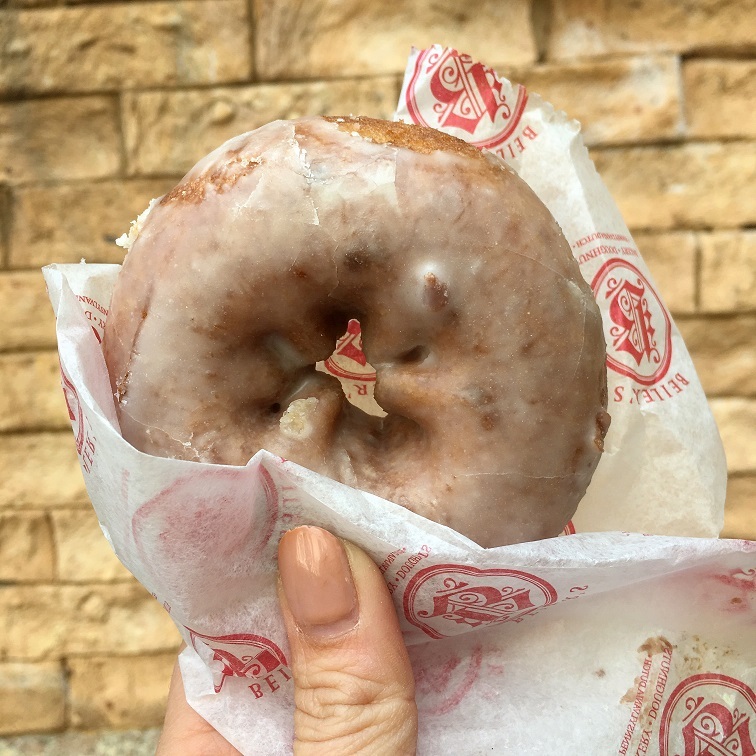 In a span of two days, I had five donuts. Two blueberry fritters (my favorite, obviously! 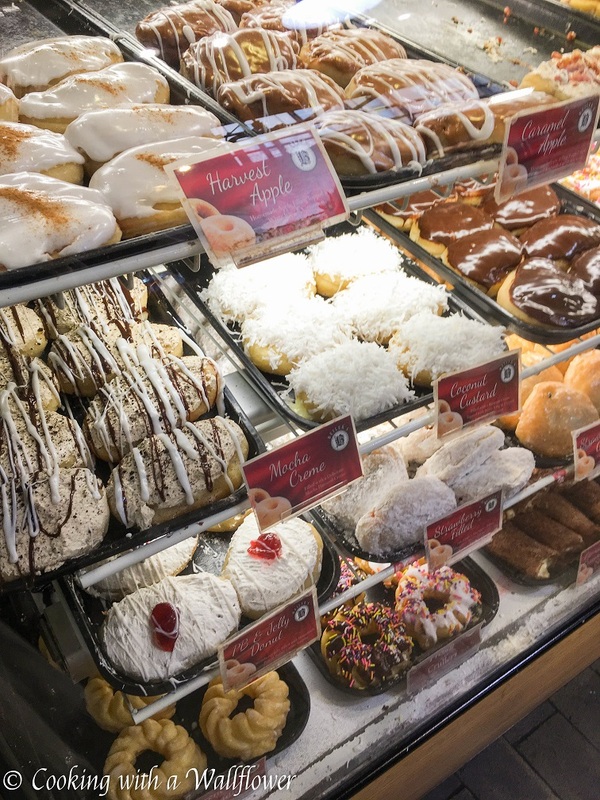 ), one apple fritter, one country apple donut, and one apple cider donut. 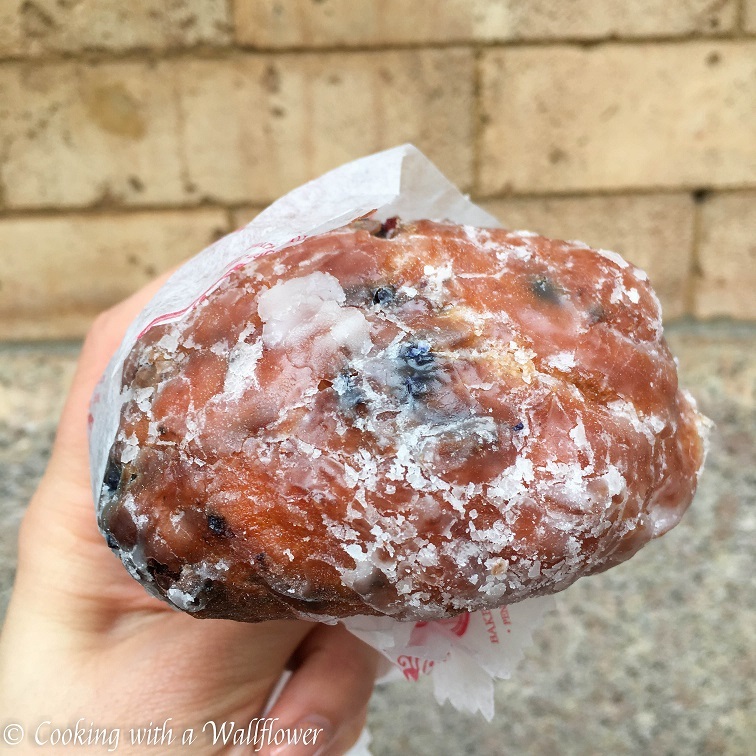 I bought so many apple flavored donuts and fritters to try, but honestly my favorite were the blueberry fritters. And I’m already missing it! 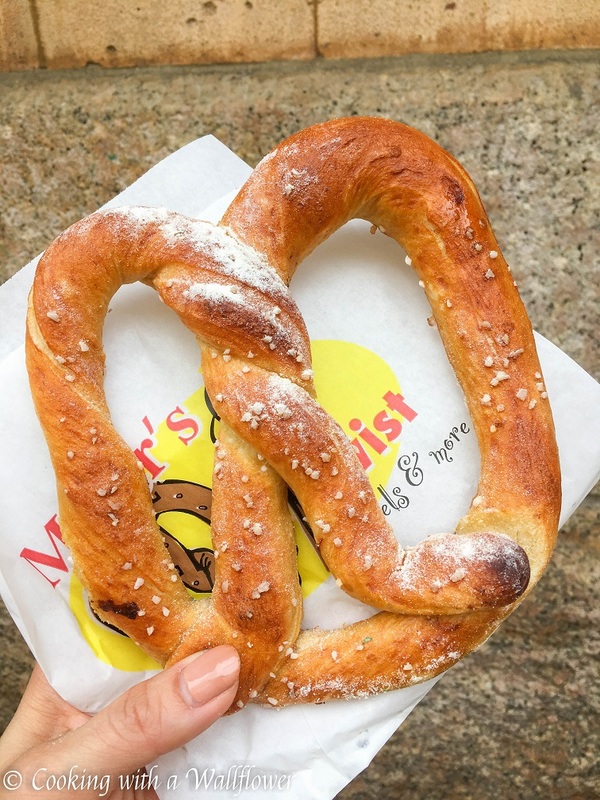 I was told I had to try soft pretzels in Philly so I made sure to get a sour cream and onion soft pretzel from Miller’s Twist. Super soft and flavorful. 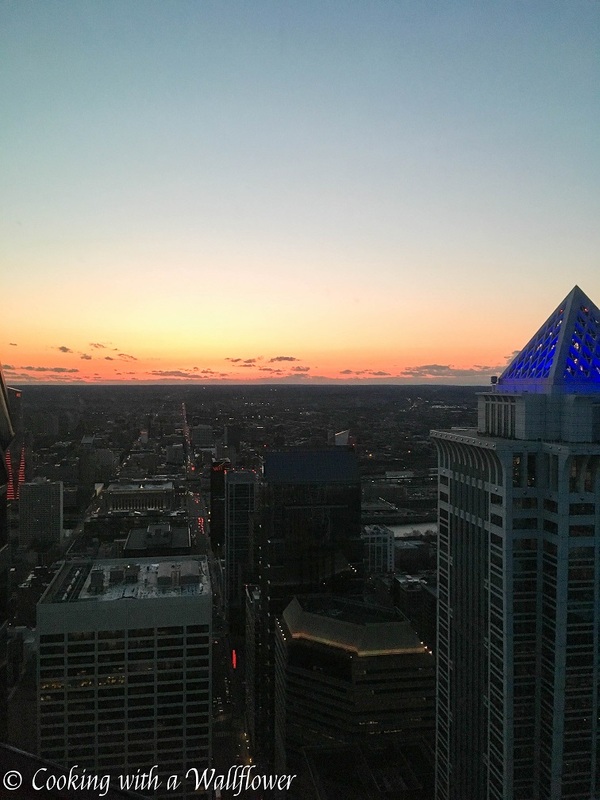 Prior to arriving in Philadelphia, I made reservations at Vedge because I had heard so much about this place. This plant based restaurant has unique takes on every day vegetables. Each dish is small and served tapa style, but the flavors are so unique. Each season the menu changes to reflect the freshness of the produce. I asked my server to recommend his favorite dishes and ordered what he recommended. I started with drinks. I wanted to try the aspen, which is apple-ade with rosemary, but they were out of it so I went with the gingerbeer, which was ginger, lime, and demerara. 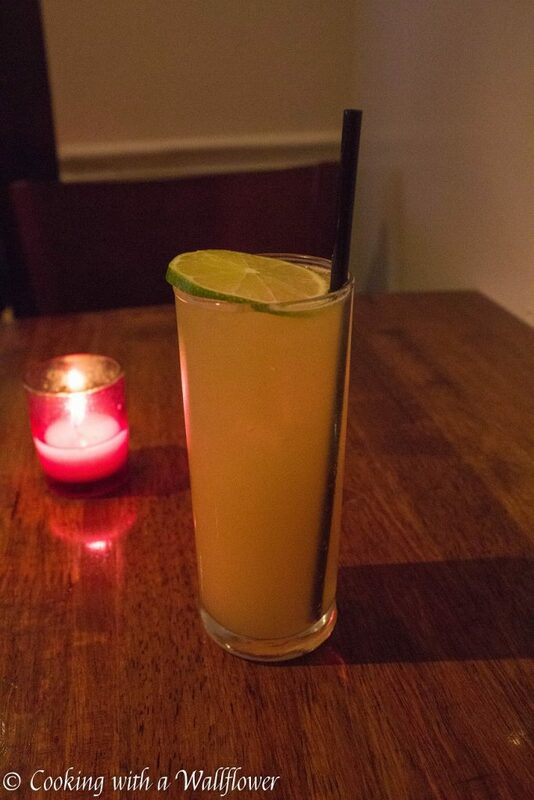 You can taste the freshness of the ginger in the drink. From the Vedge Bar, Fancy Radishes. There are four different radishes prepared four different ways. 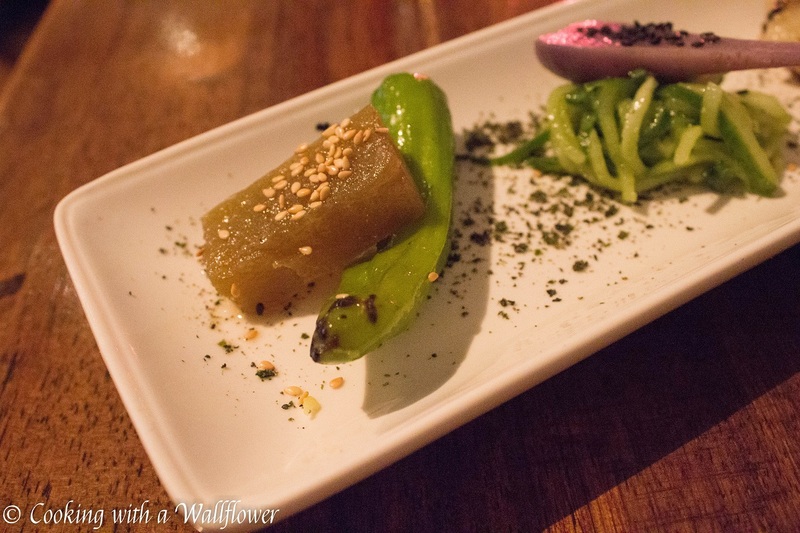 The first radish is pickled and served over shishito peppers. 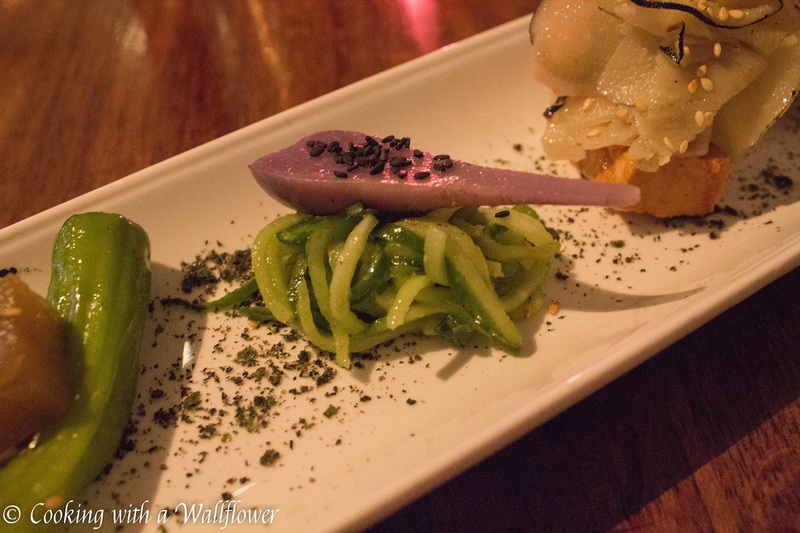 The second radish is purple radish over spiralized cucumber. 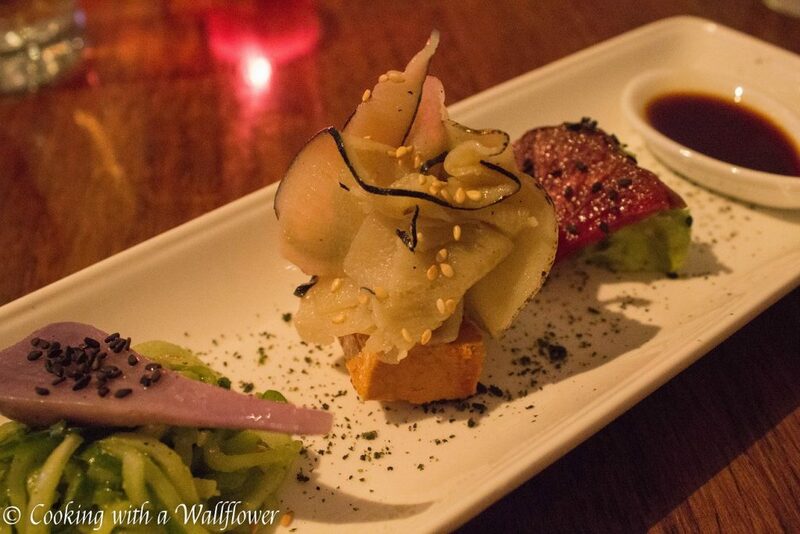 The third is black radish served over pickled tofu. 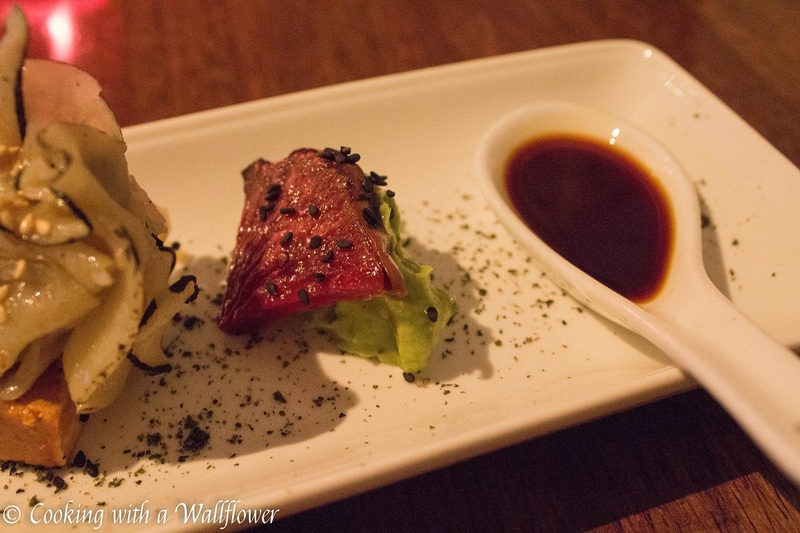 The fourth is radish served over yuzu avocado. From the Dirt List, Charred Brussels Sprouts. 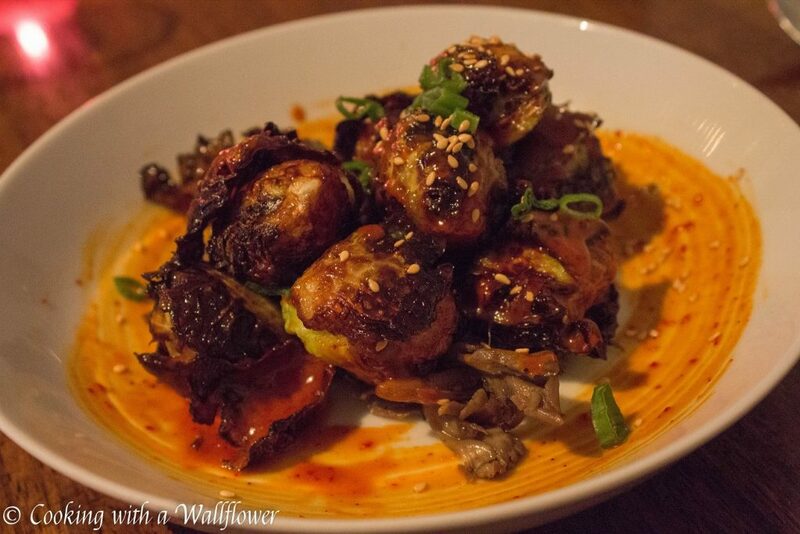 These roasted brussels sprouts are glazed with kimchi and served with pickled mushrooms. It was soo flavorful and delicious and filling. I would never have thought to serve brussels sprouts with a kimchi glaze. From the Grill, Seared Maitake Mushroom. An entire bunch of maitake mushroom seared with that smoky charred flavor you find when you barbeque meat. 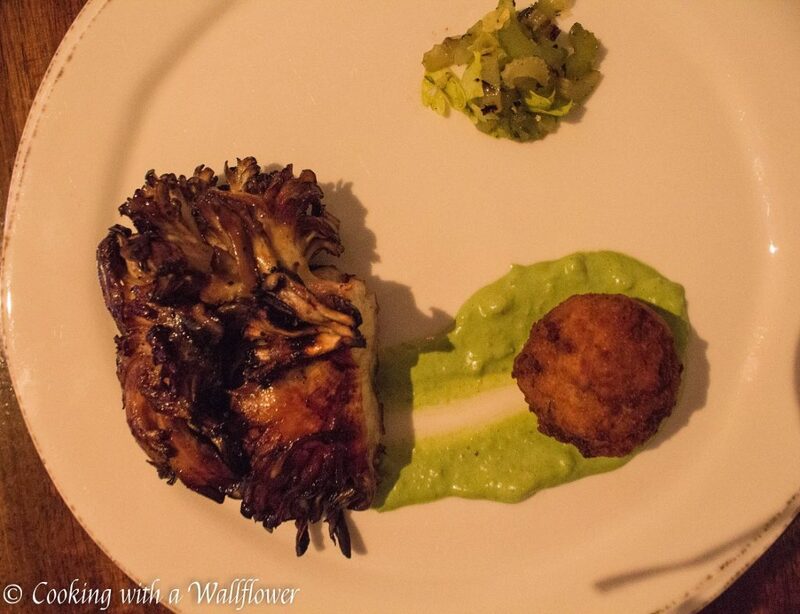 It’s served with smoked roumoulade, celery root fritter, and grilled celery. Another delicious and unique take on mushrooms. 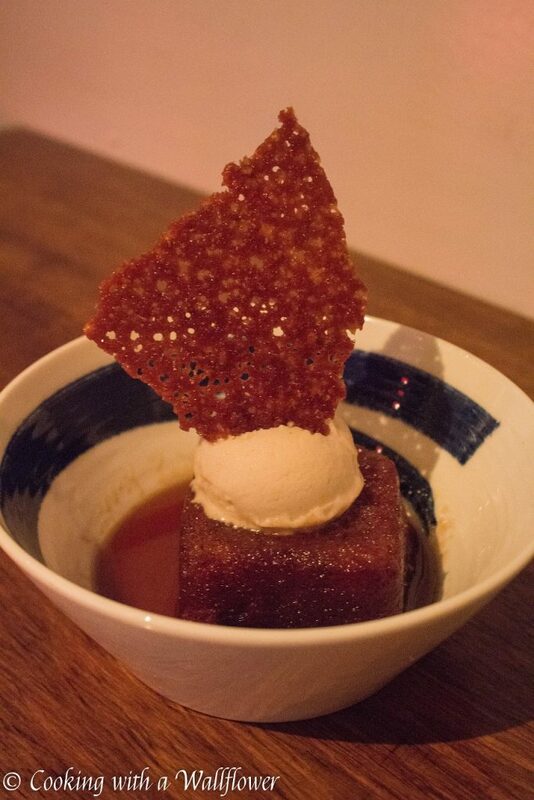 For the dessert, sticky toffee pudding with hazelnut tuile. 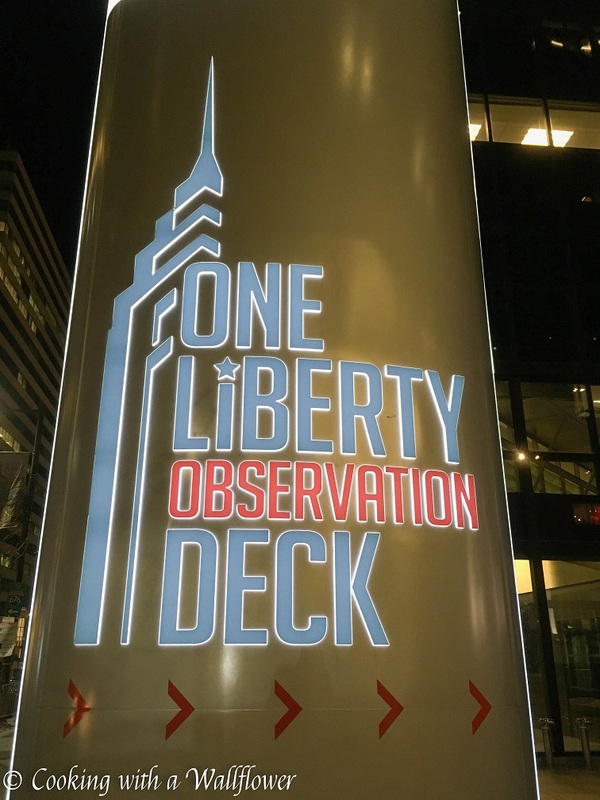 I ended my second day with watching the sunset from One Liberty Observation Deck. 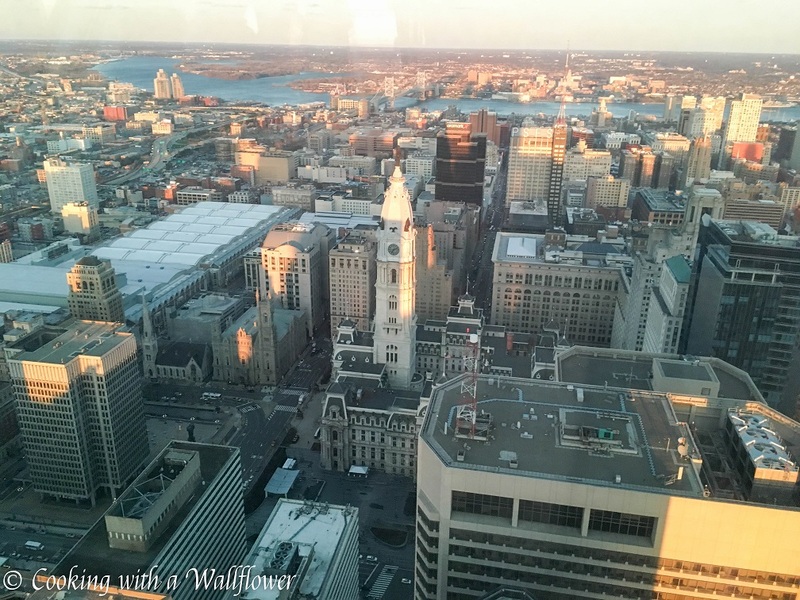 You get to see a view of the entire city from all directions from the 57th floor. 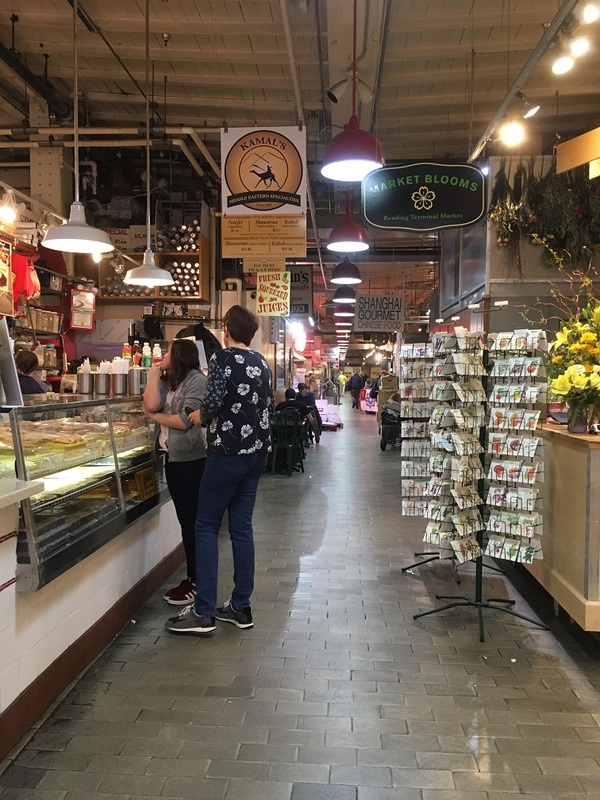 This entry was posted in Recommendations, Restaurant Reviews, Travel and tagged beiler's doughnuts, center city, destination, Philadelphia, reading terminal market, Recommendations, travel, vedge restaurant. 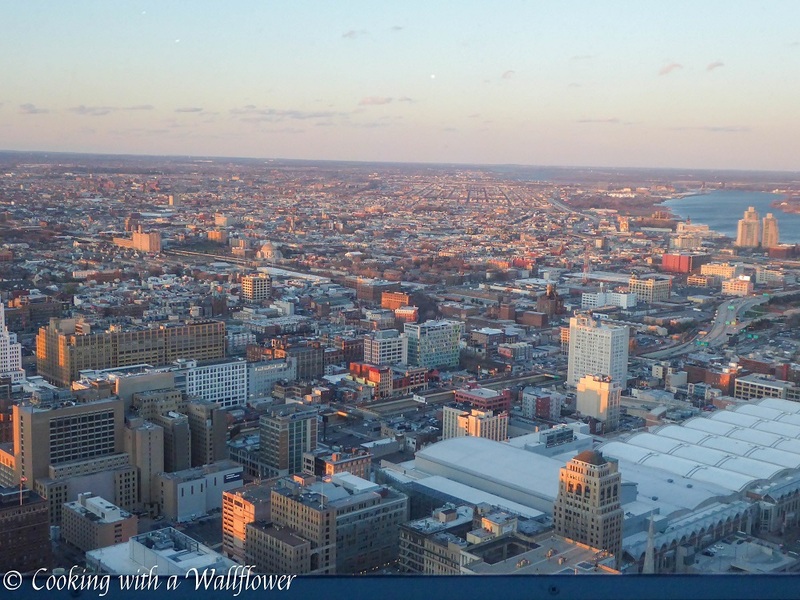 I’m glad you got to visit my hometown you picked some great places in the city. 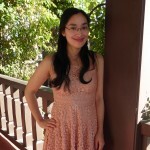 I enjoyed reading this post, congratulations!